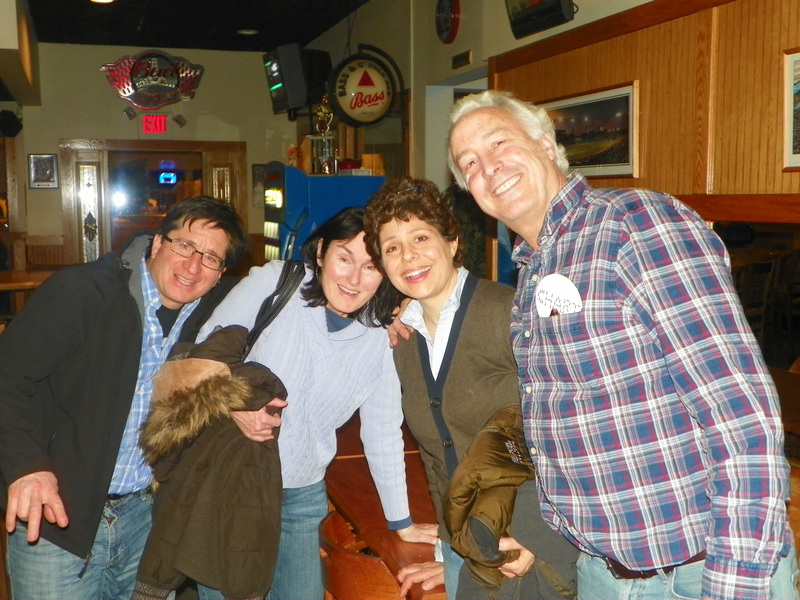 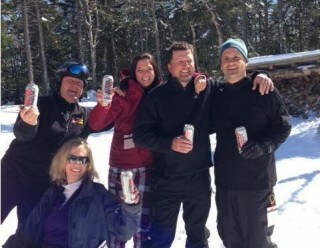 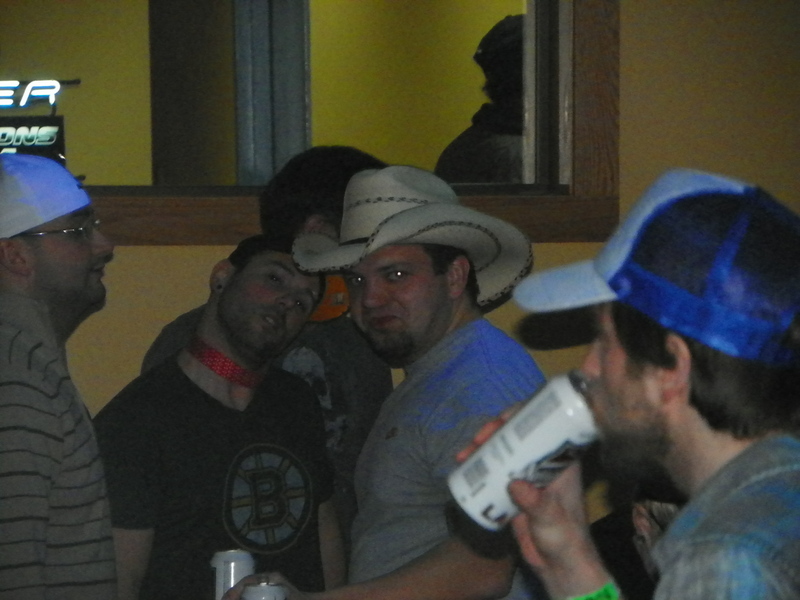 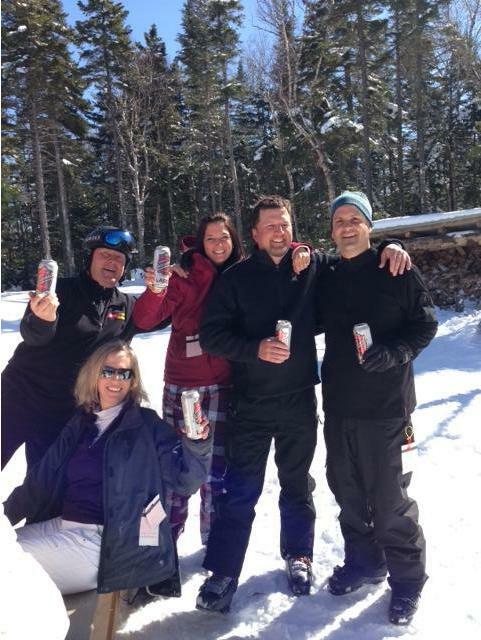 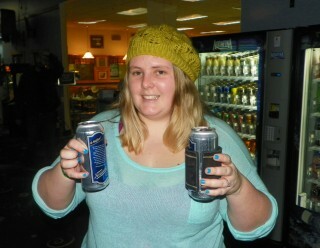 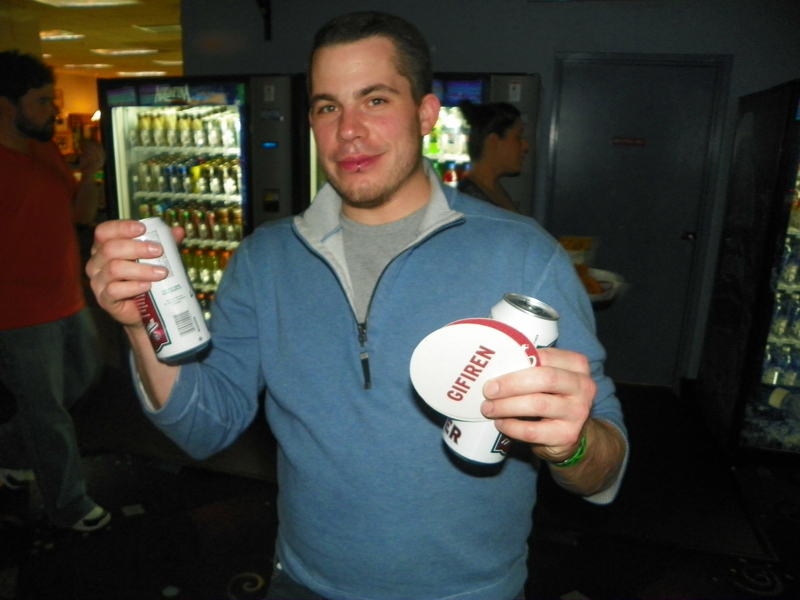 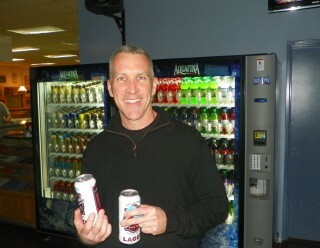 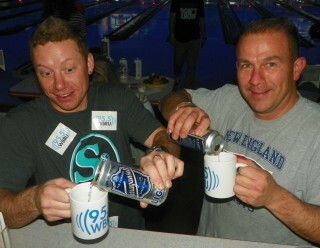 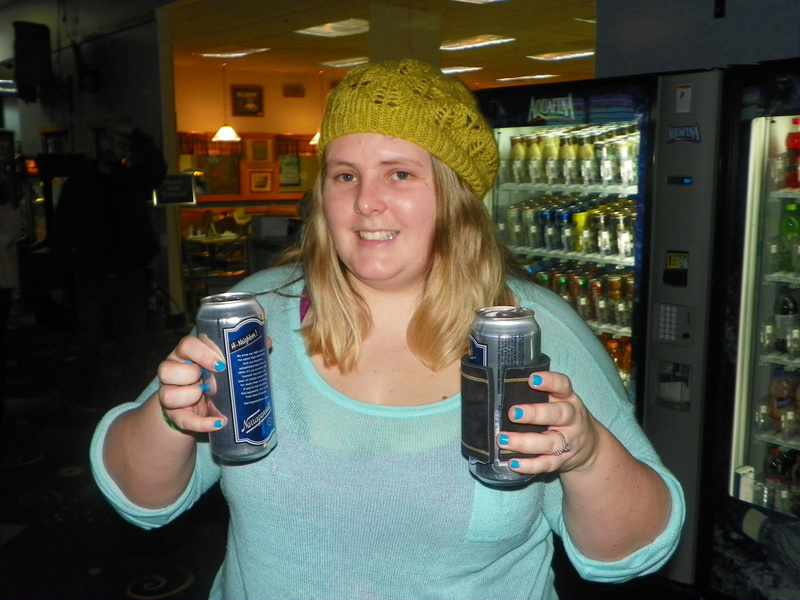 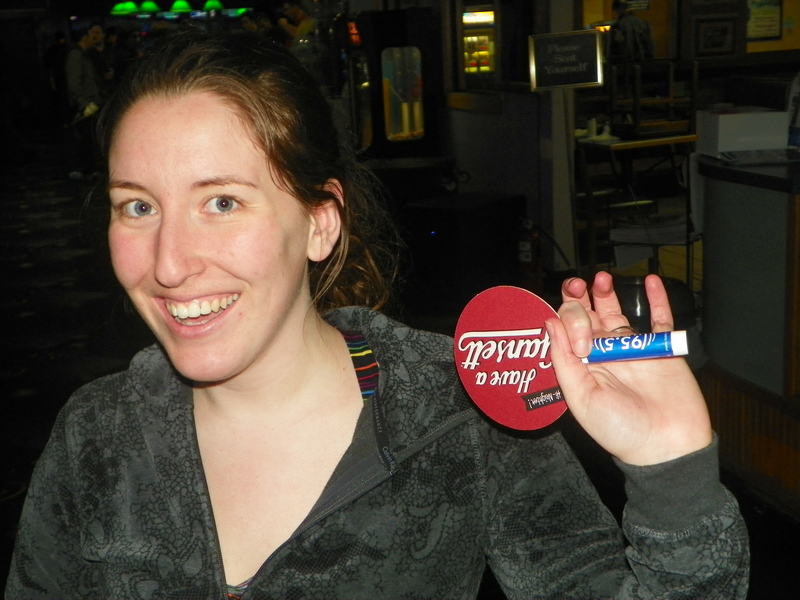 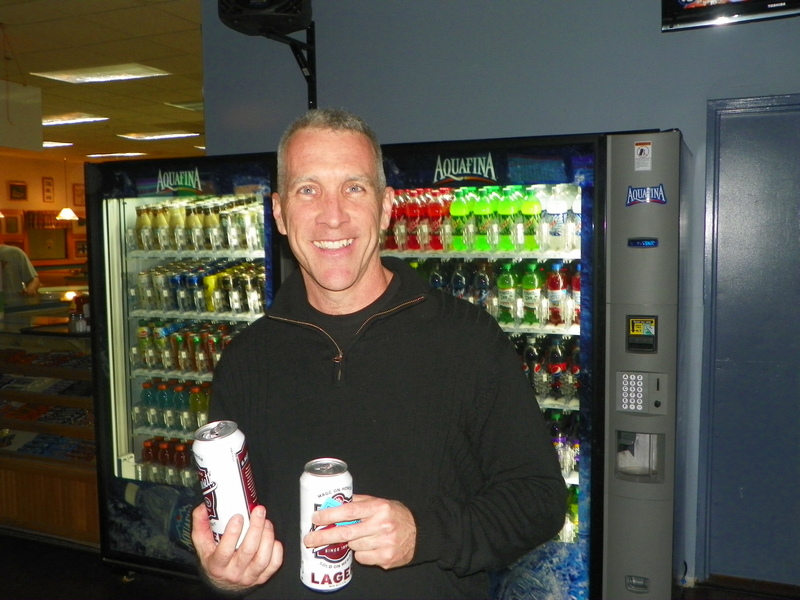 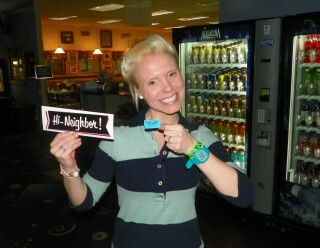 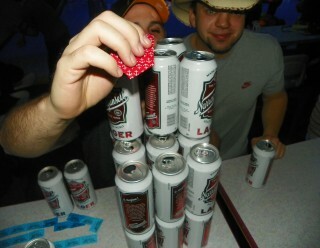 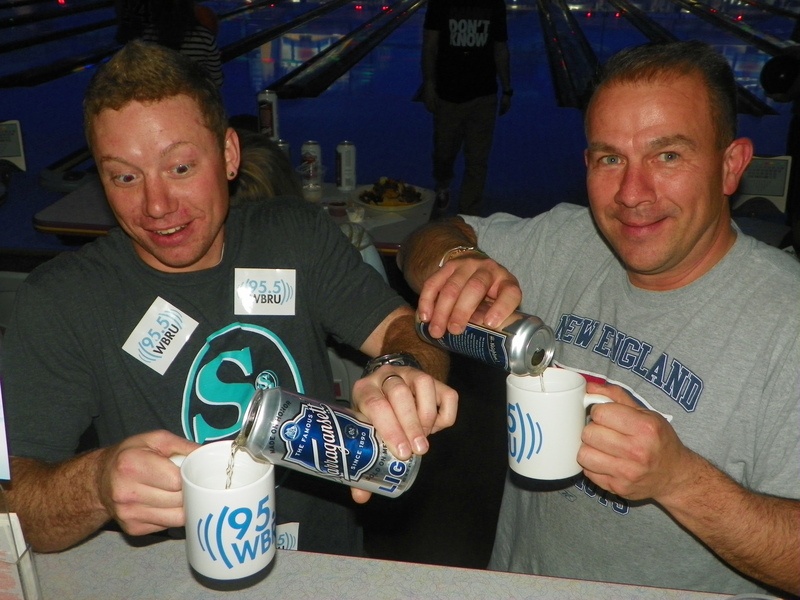 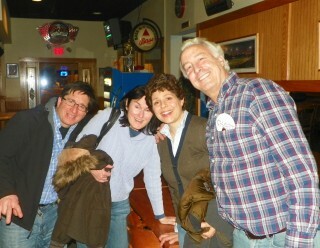 Some fans enjoyed apres ski with ‘Gansett Tall Boys at Bretton Woods this weekend. 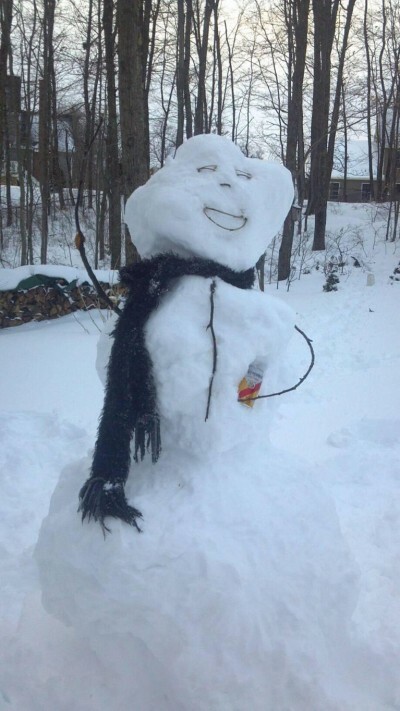 This snowman’s ready to party with his retro can. 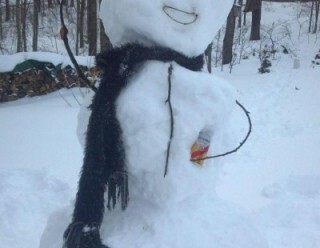 “Crush It Like Quint, snowman!” If winter’s not giving up, this fan is having fun with it. 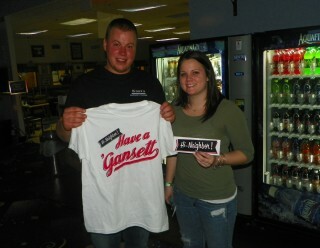 Always great to see big fans at our events. 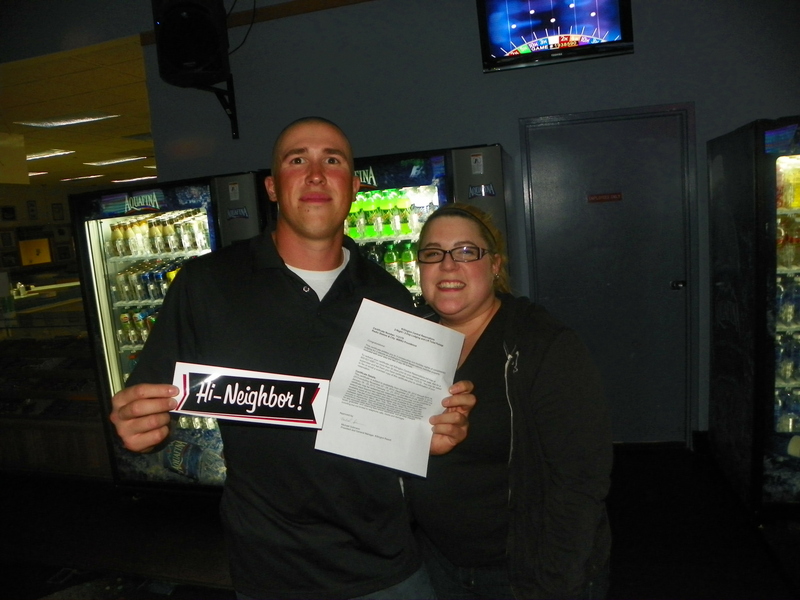 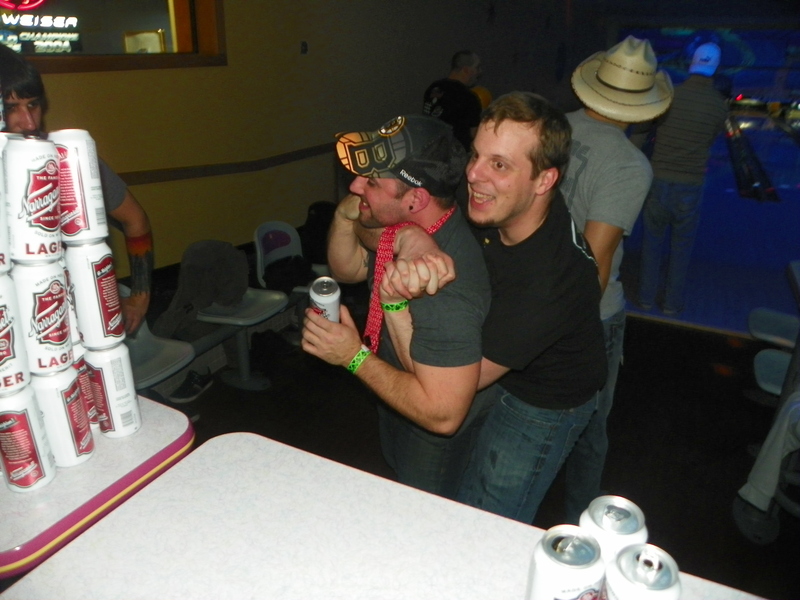 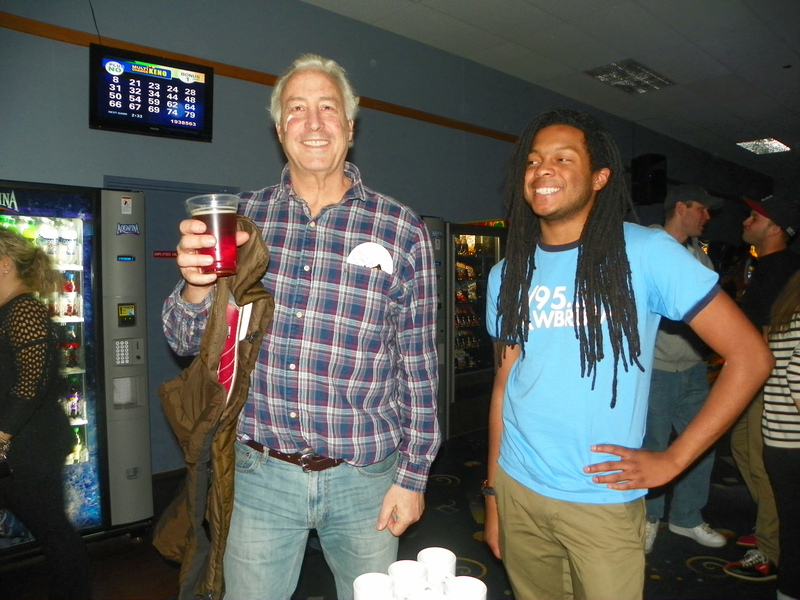 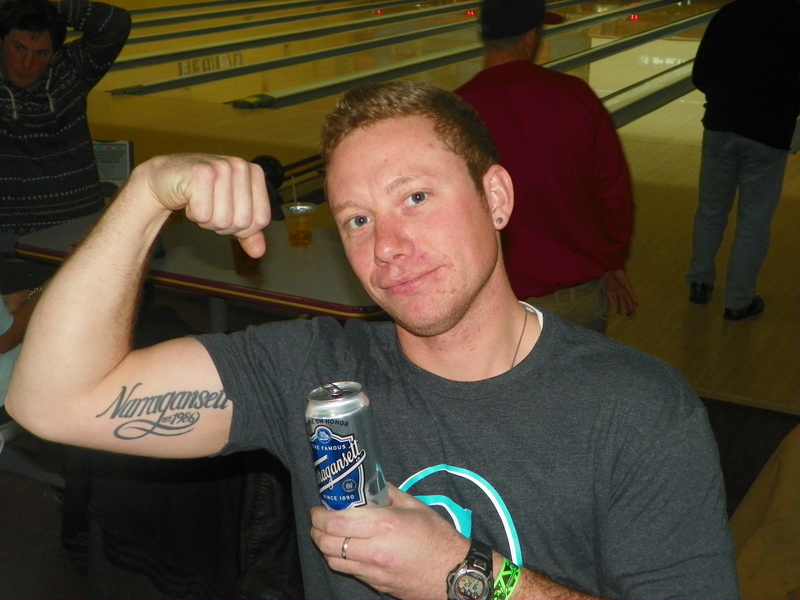 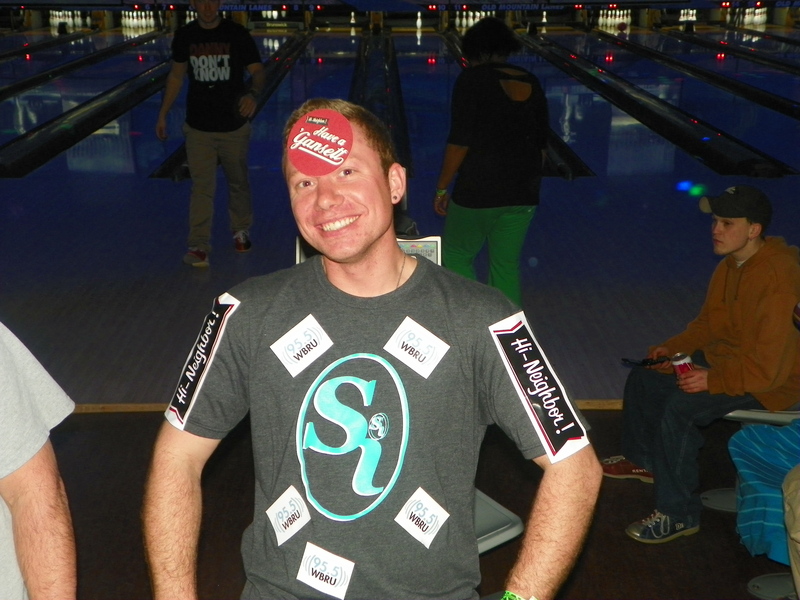 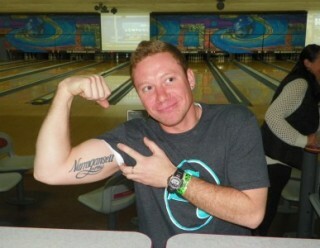 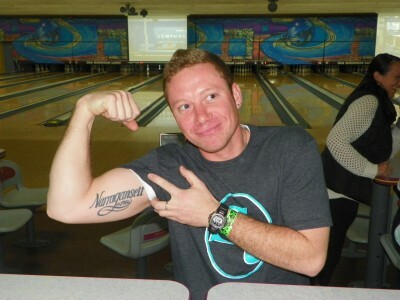 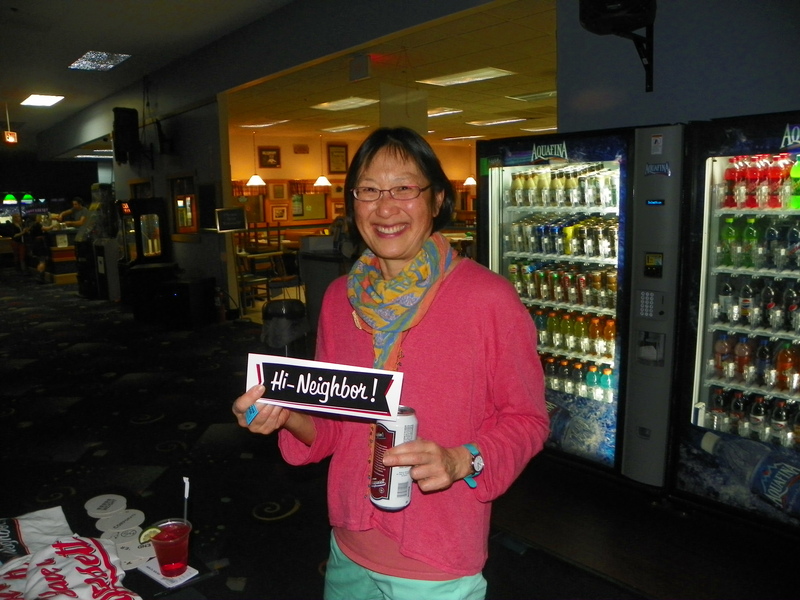 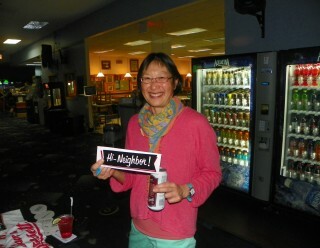 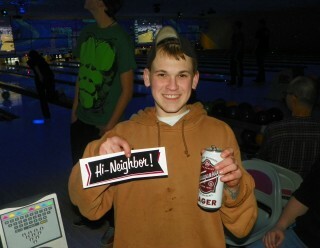 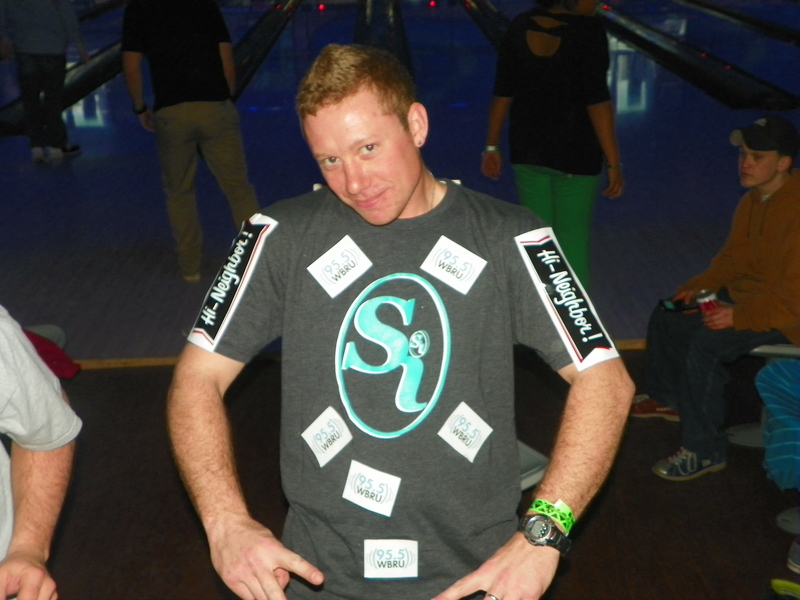 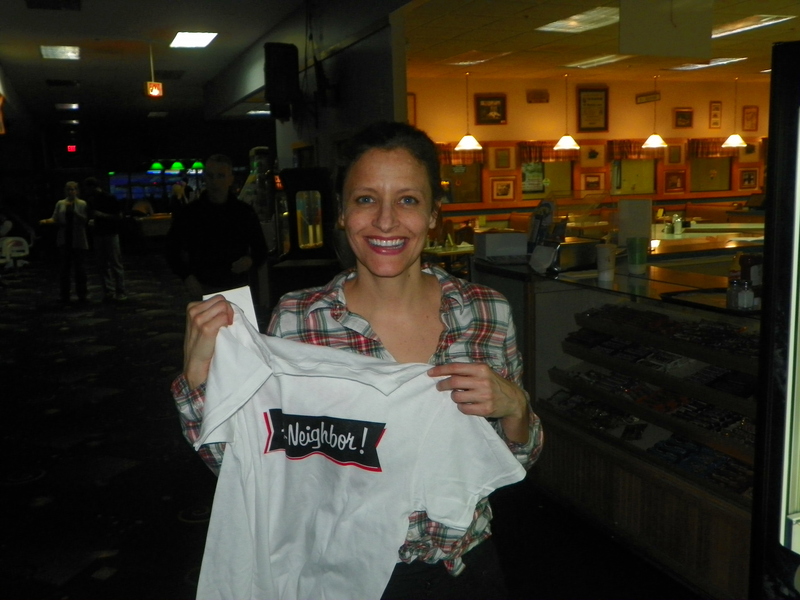 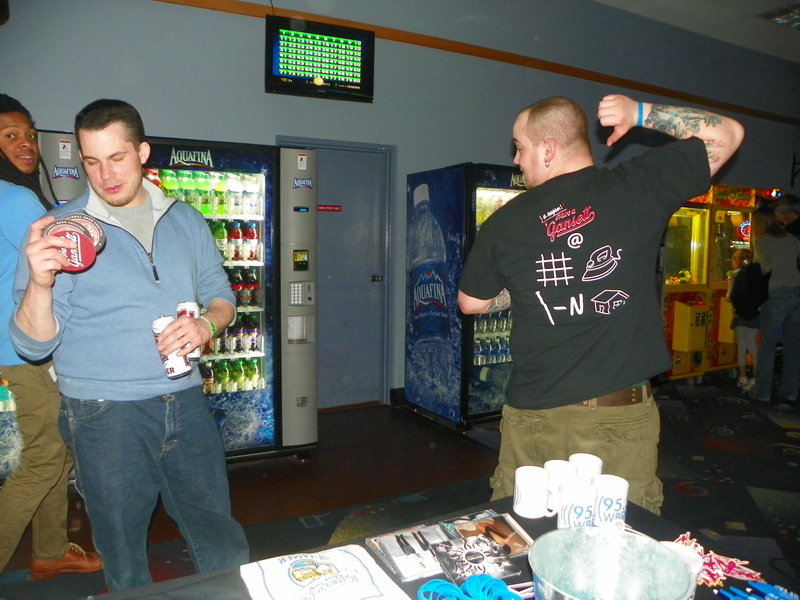 This gentleman with a Narragansett tattoo competed in the 2nd Annual Hi Neighbor Bowling Tournament at Old Mountain Lanes on Saturday night. 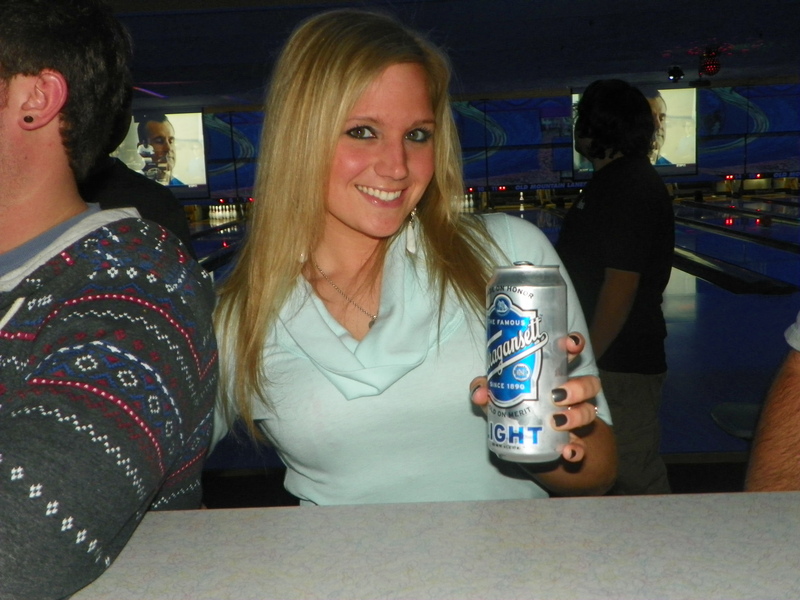 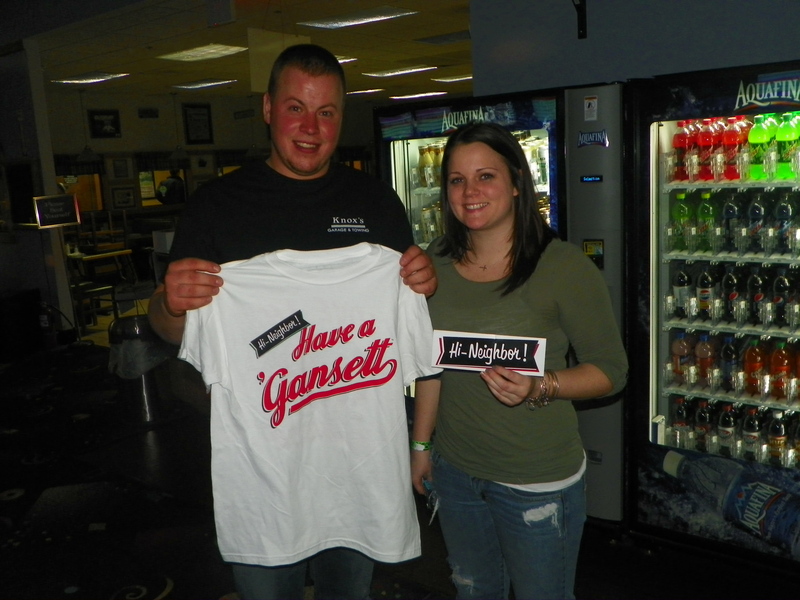 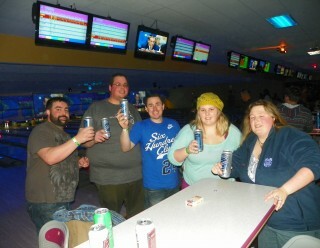 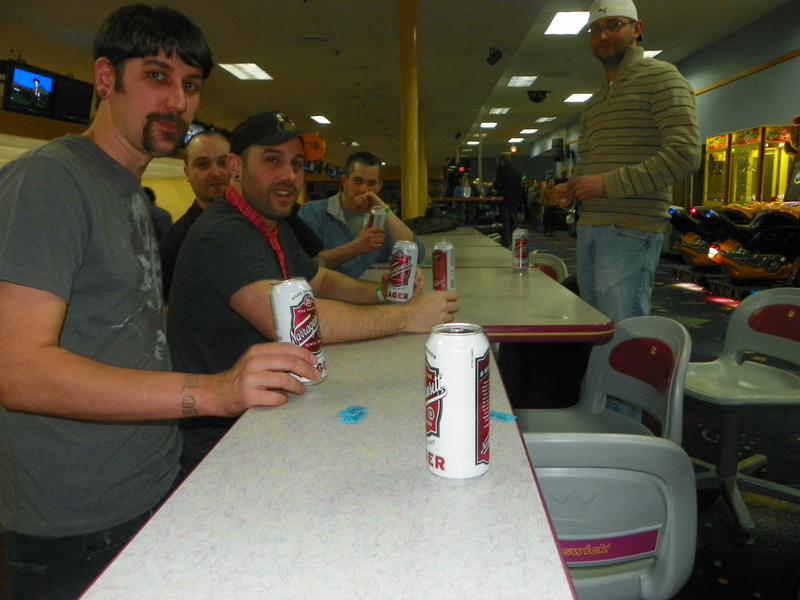 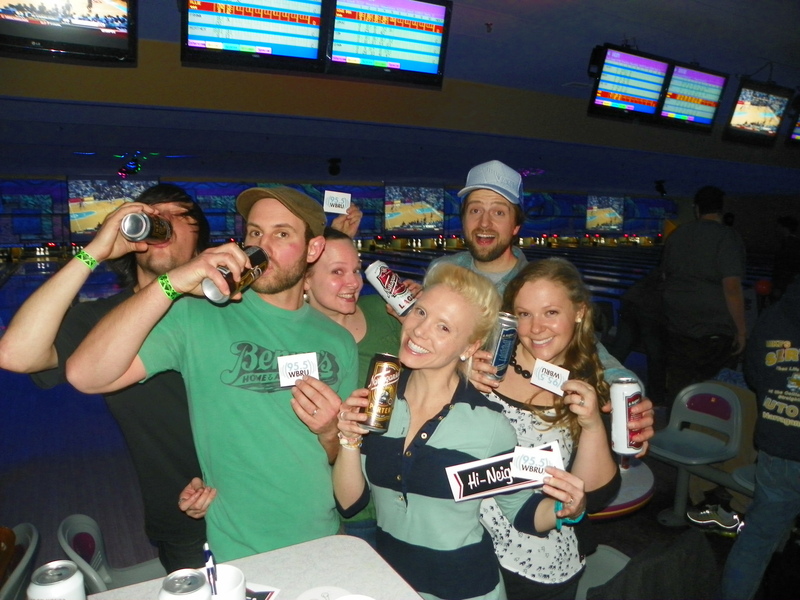 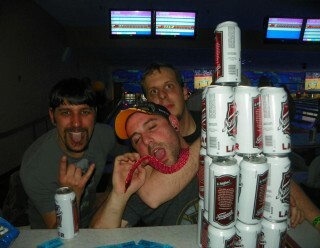 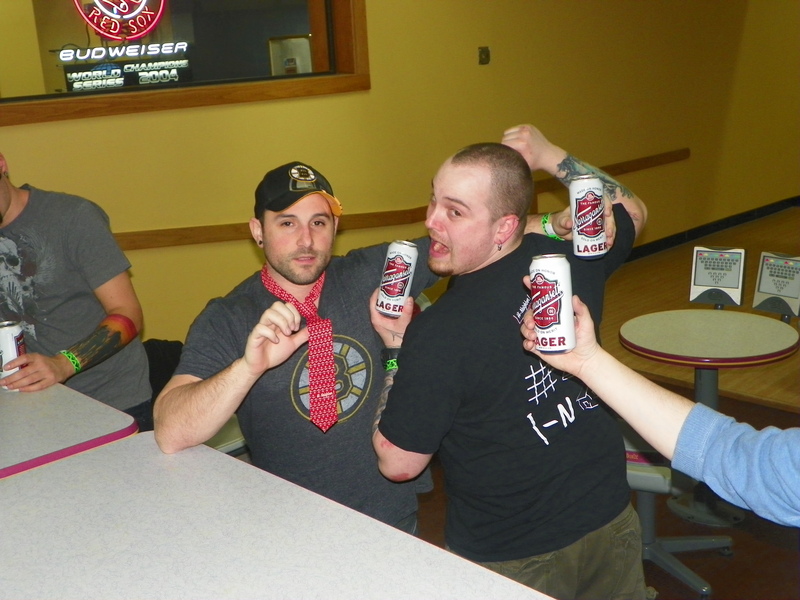 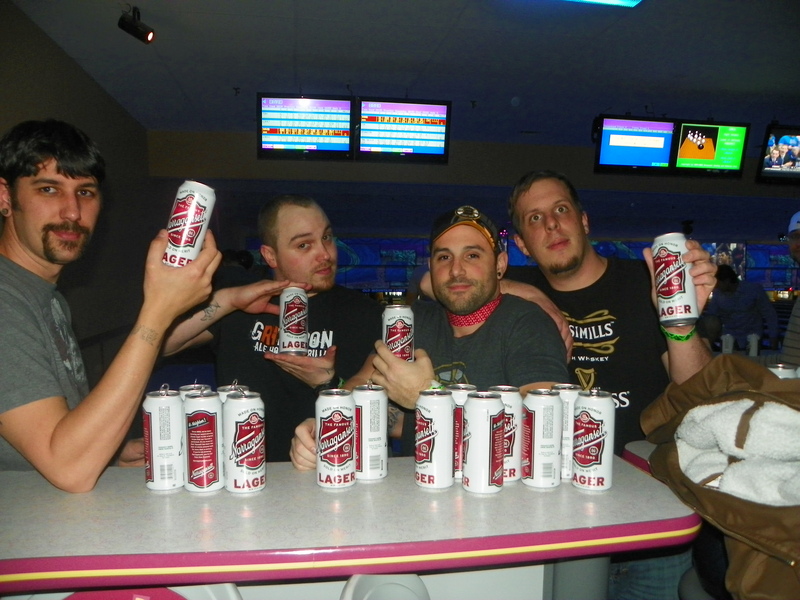 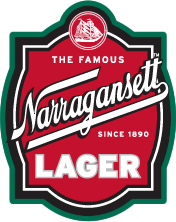 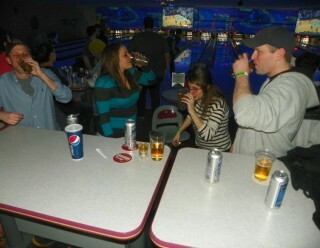 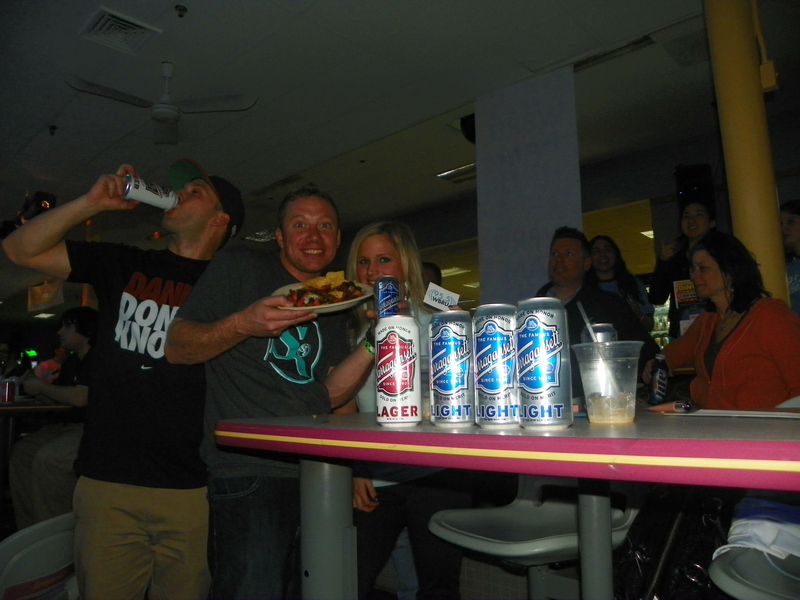 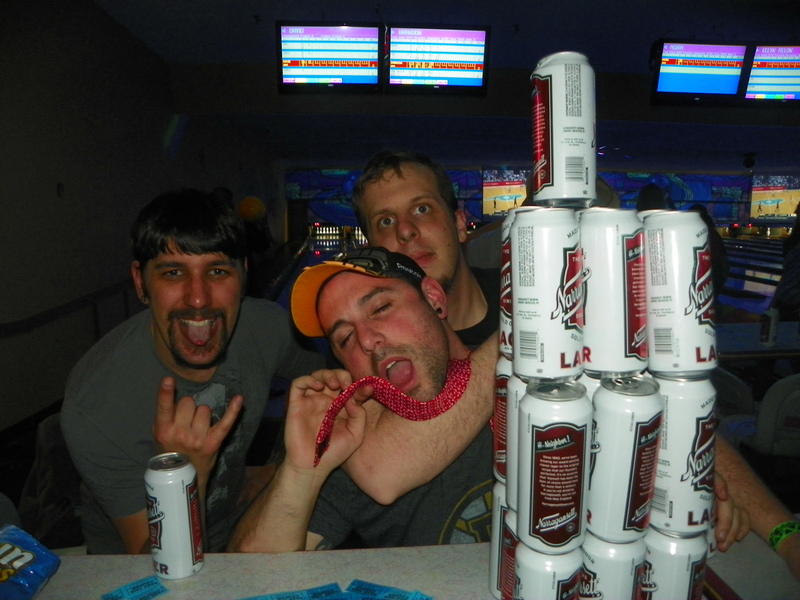 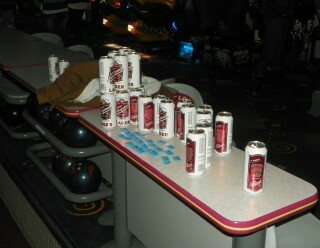 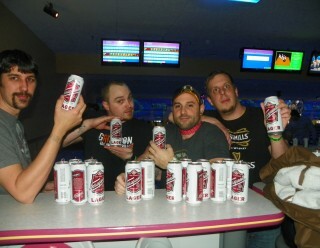 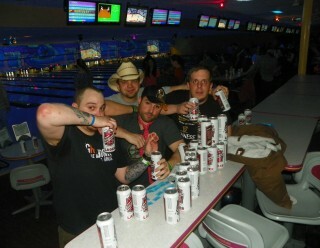 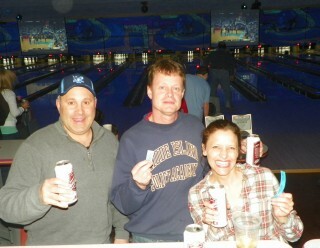 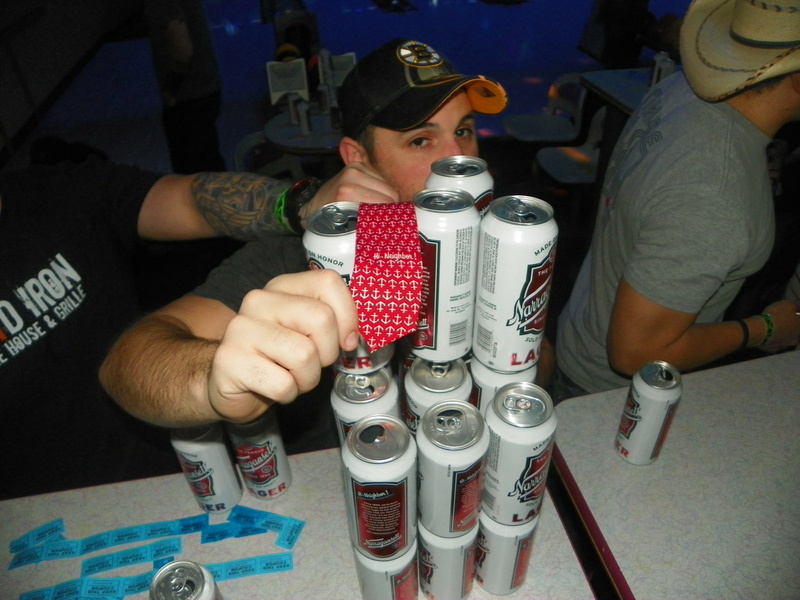 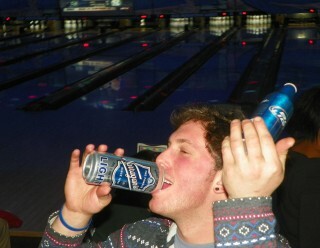 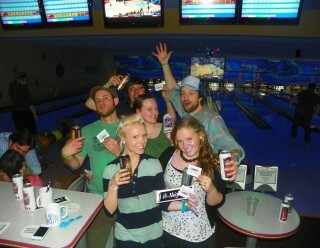 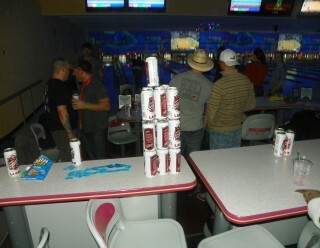 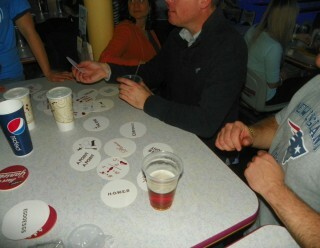 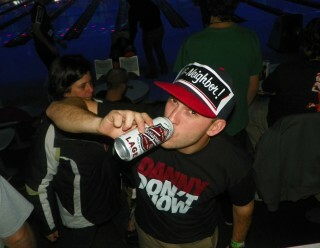 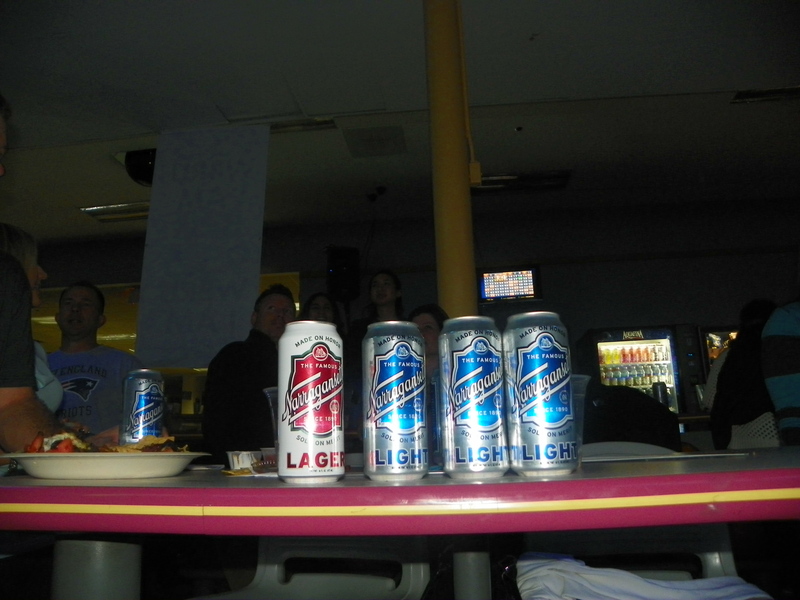 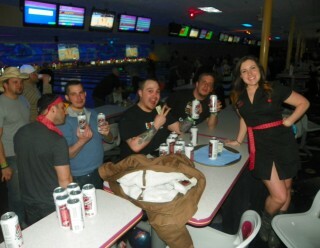 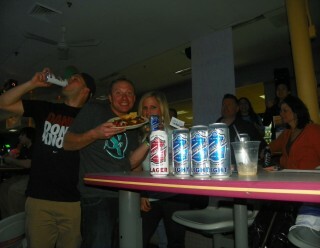 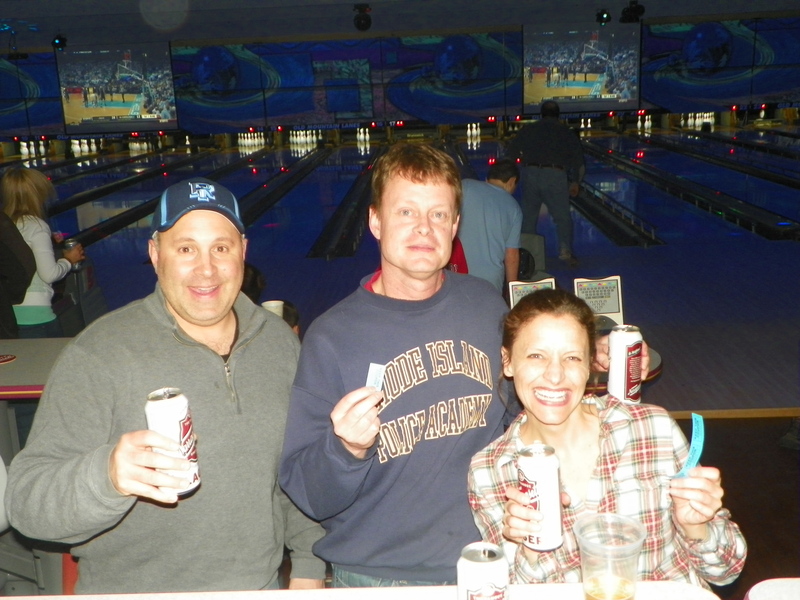 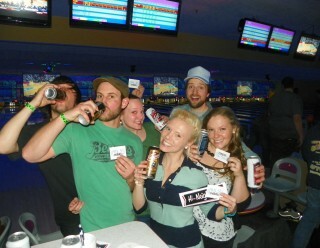 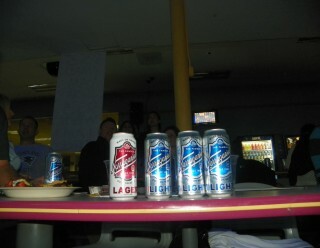 Not a lane was open in the house and teams of 4 competed for the Ultimate ‘Gansett Gear Prize Pack. Congrats to Sarah and her team for winning. 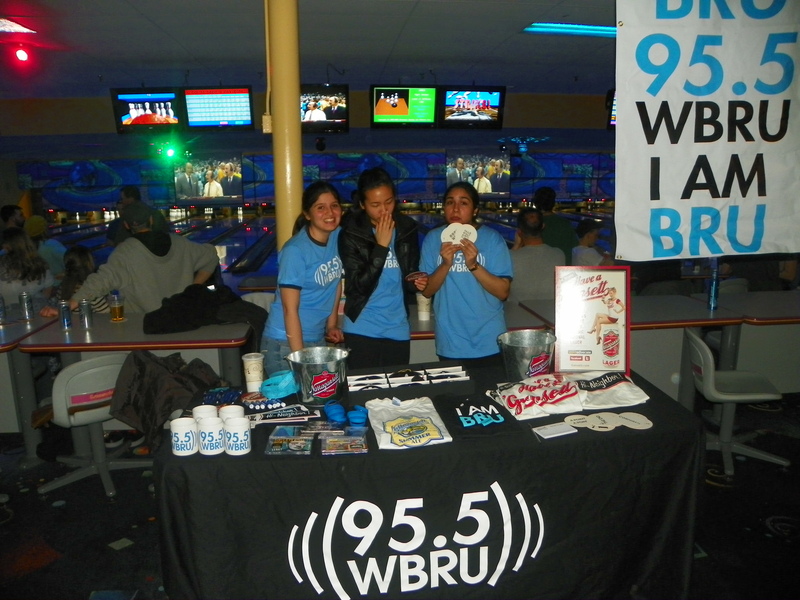 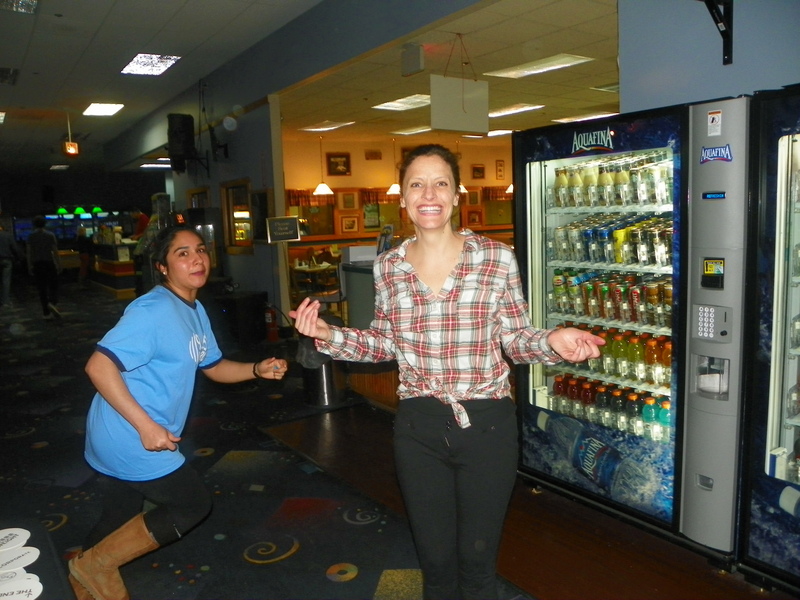 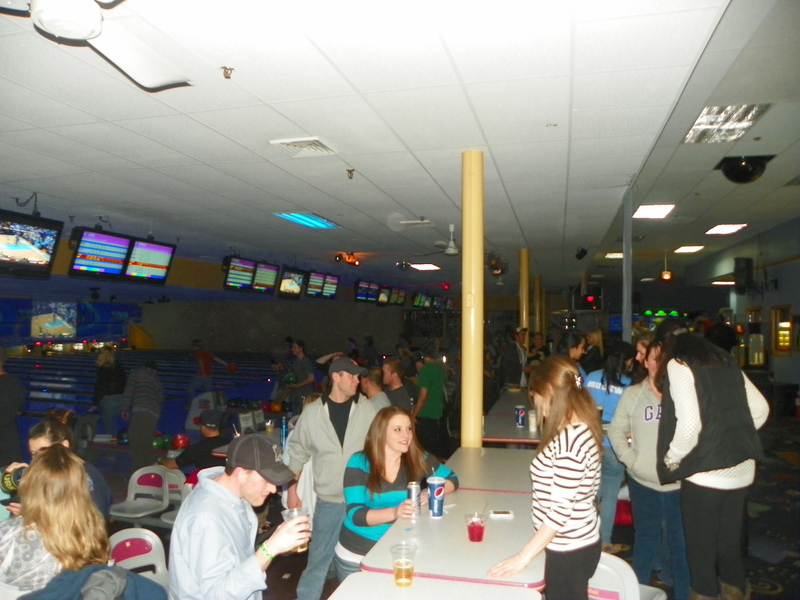 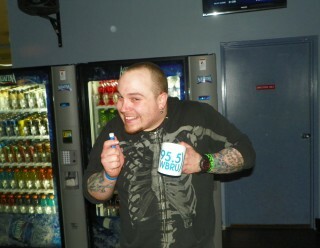 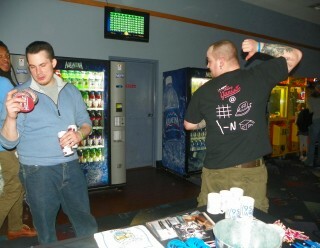 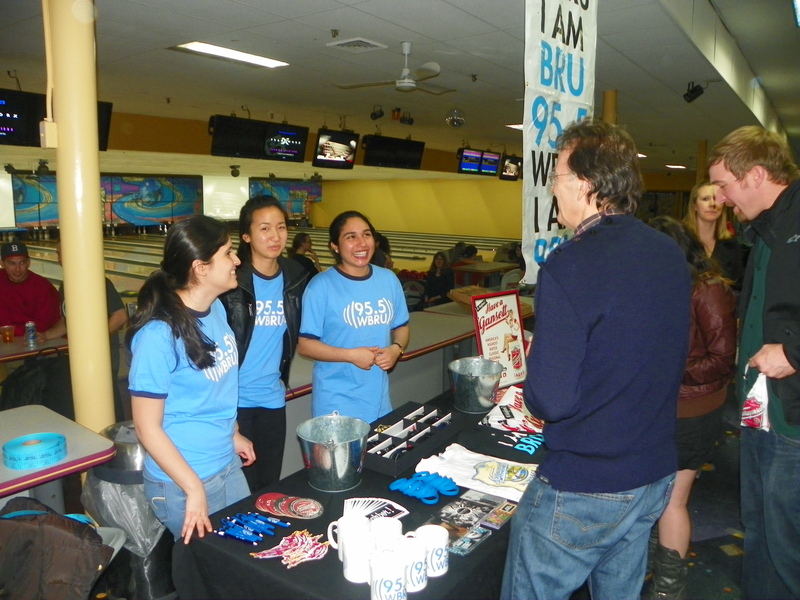 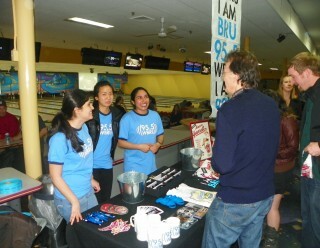 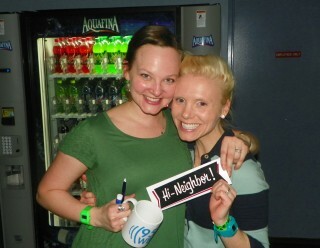 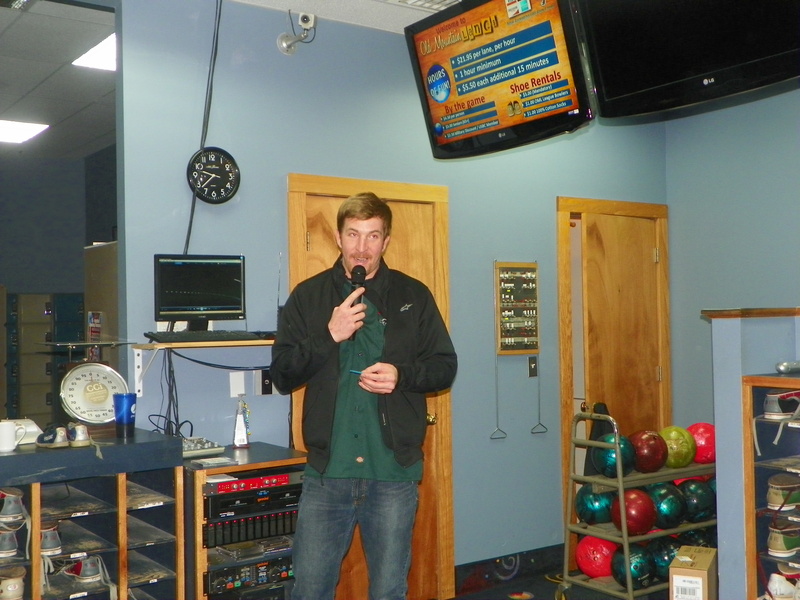 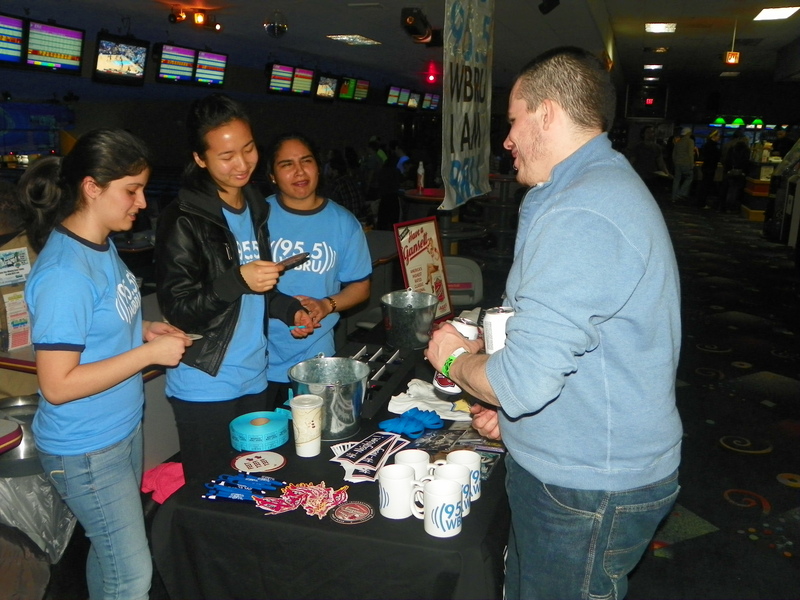 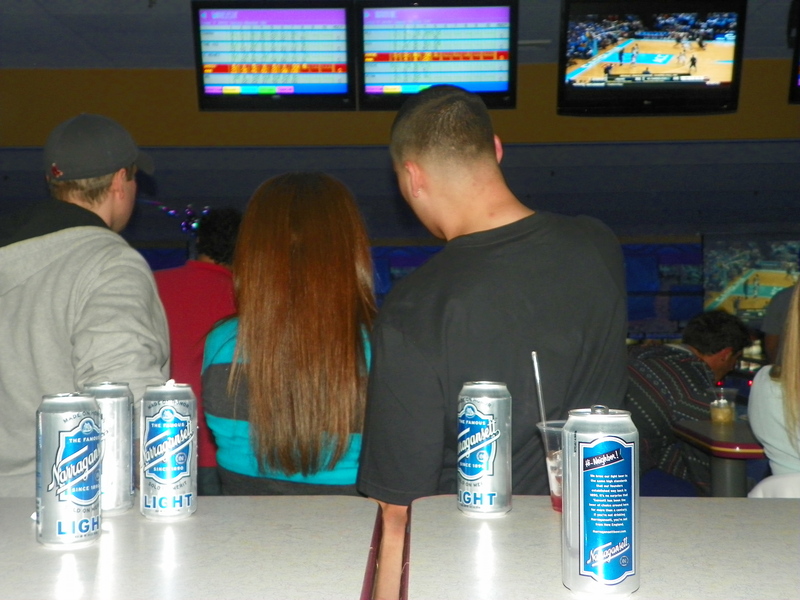 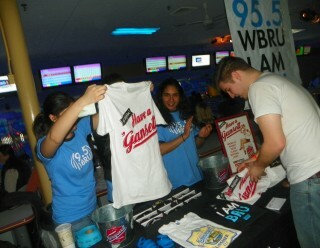 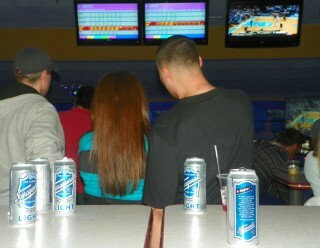 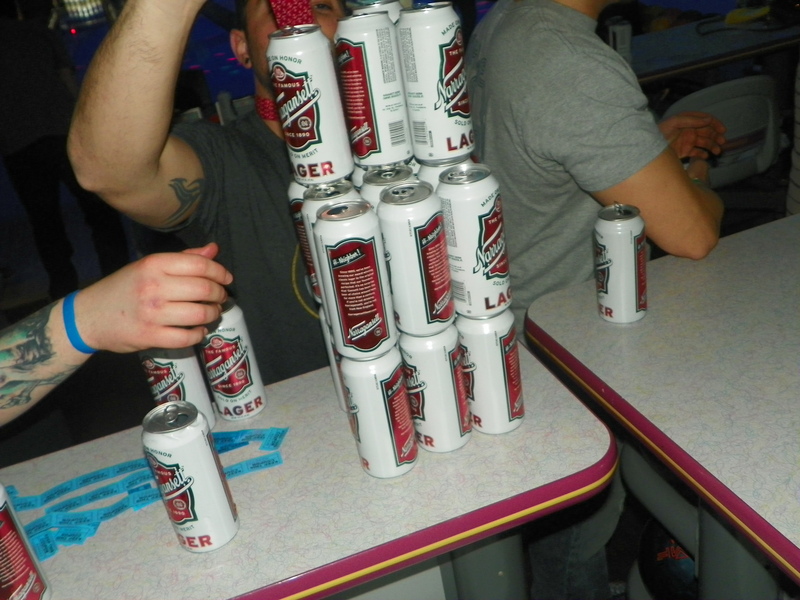 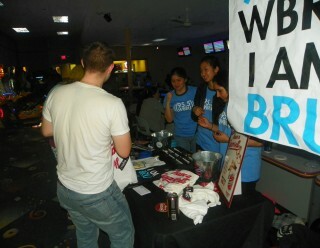 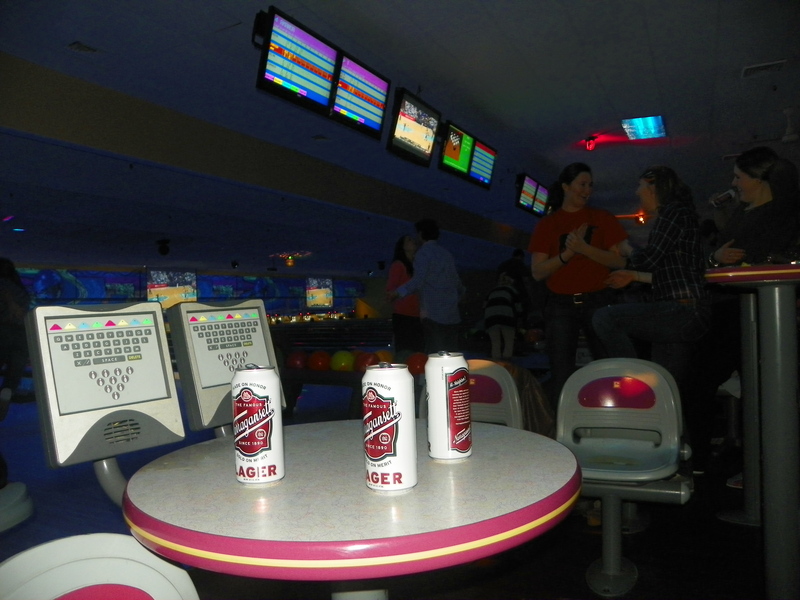 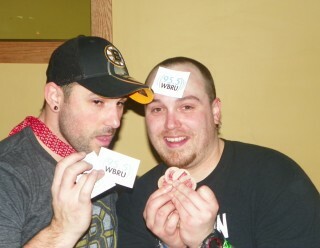 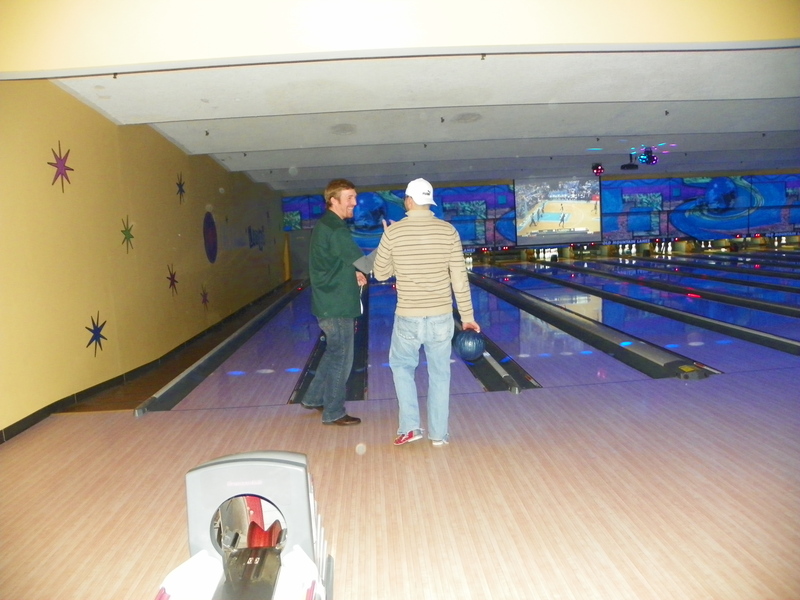 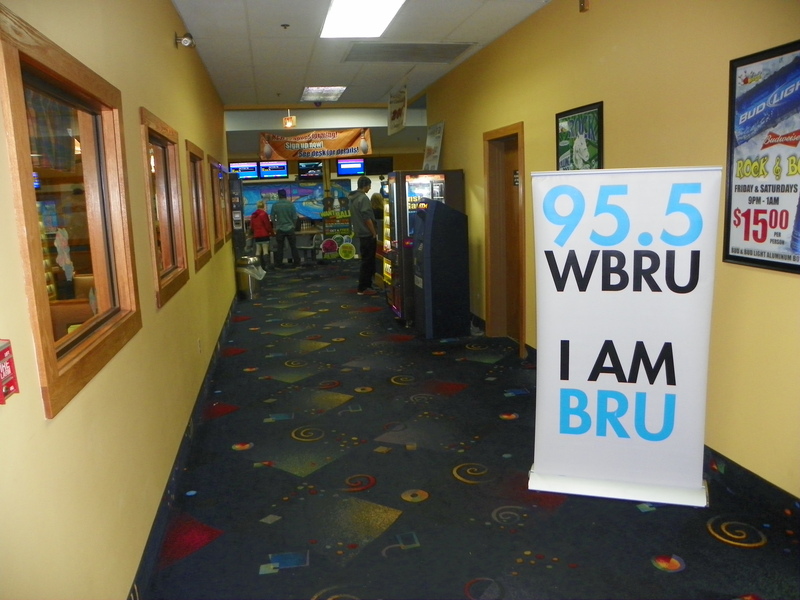 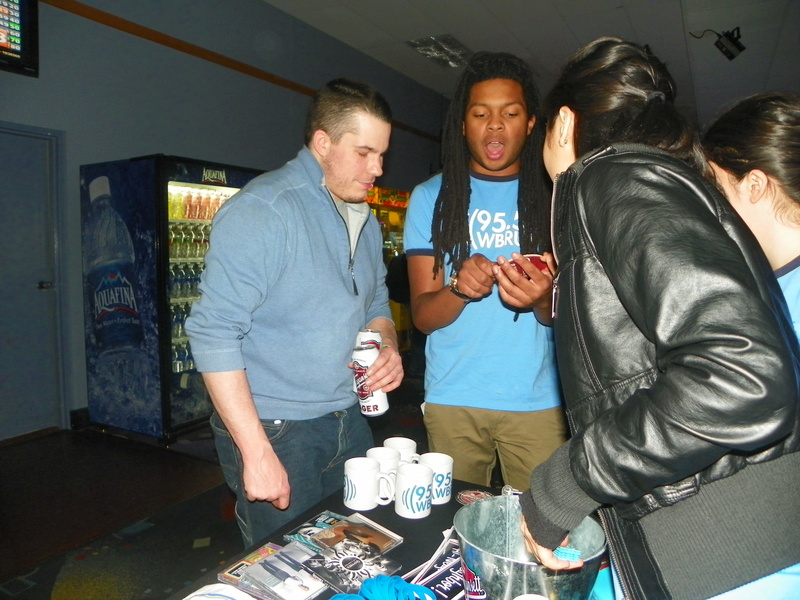 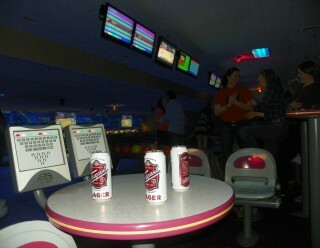 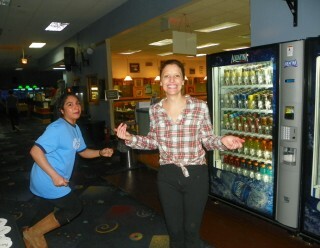 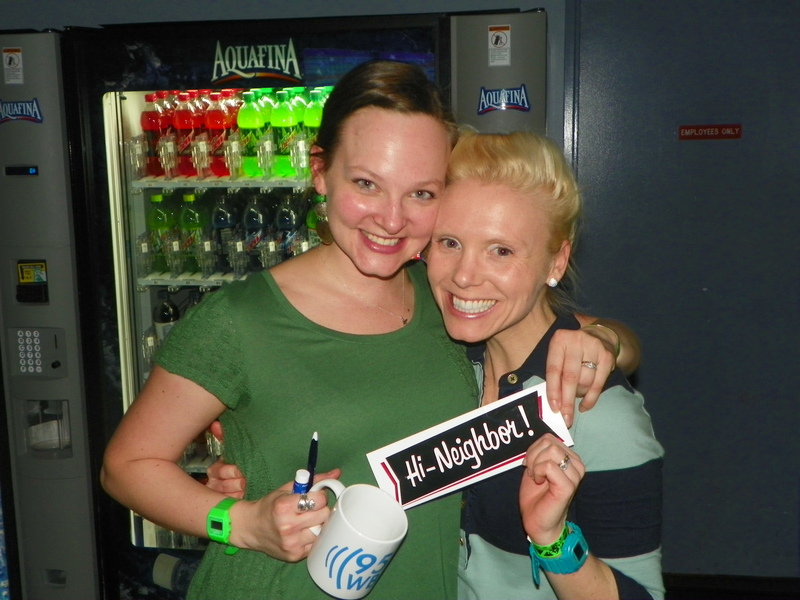 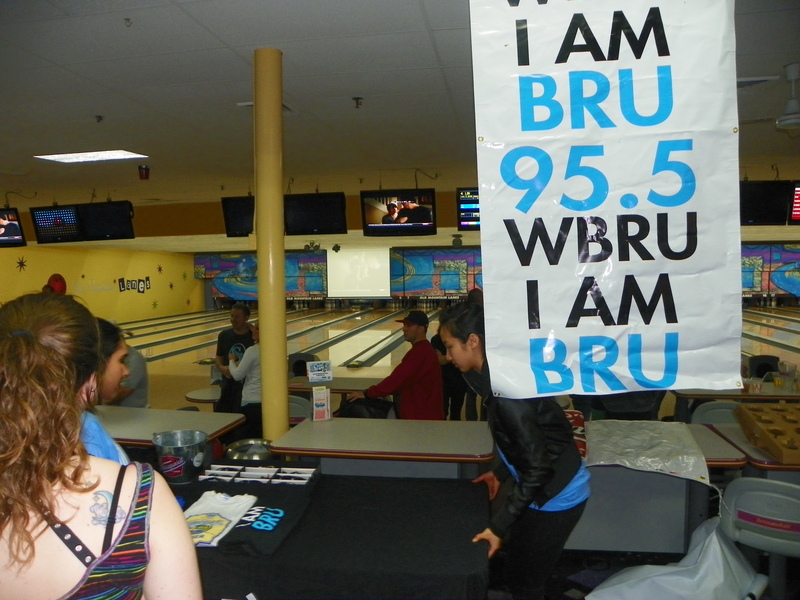 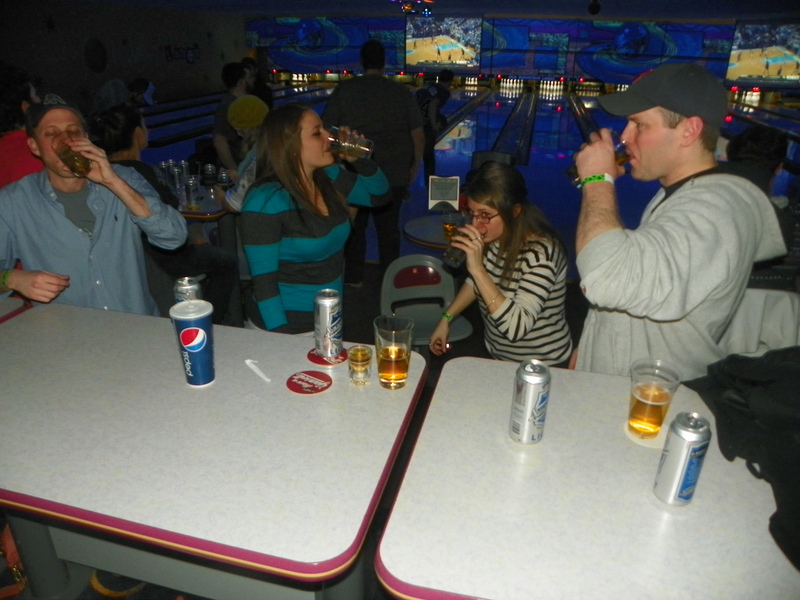 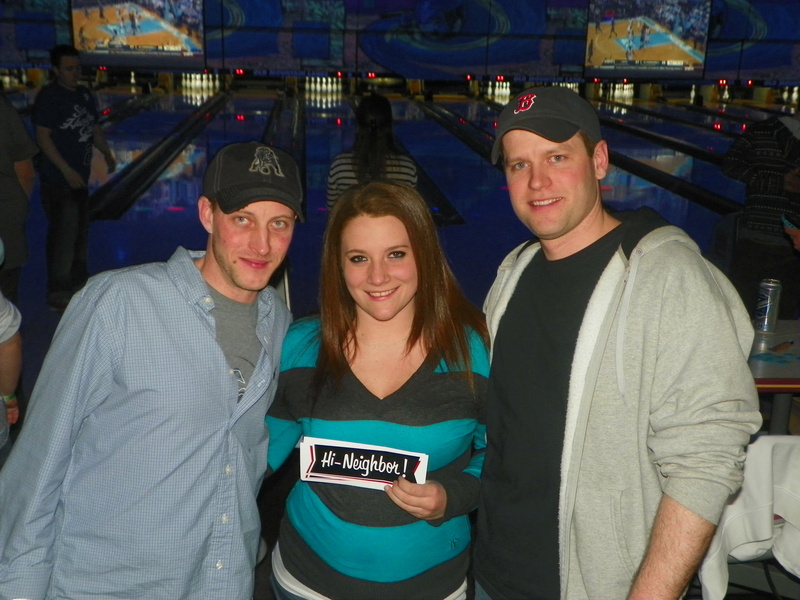 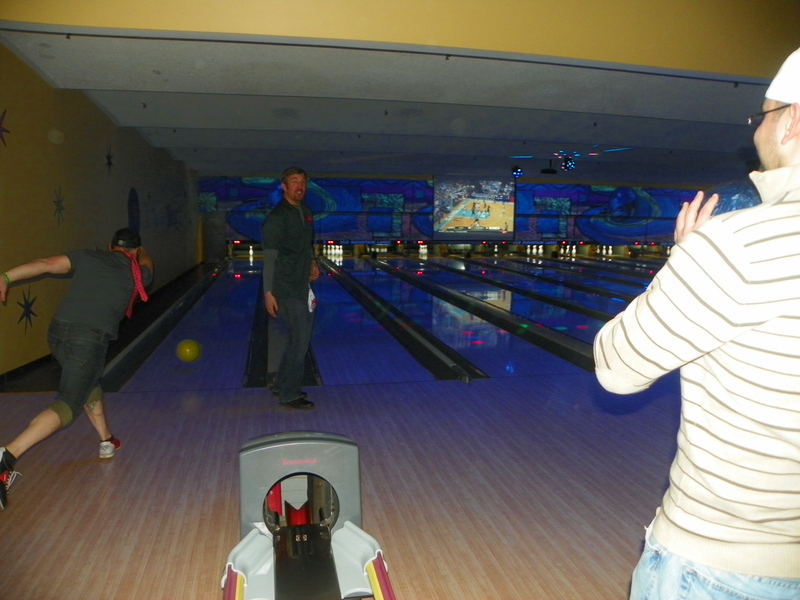 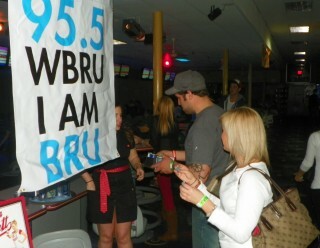 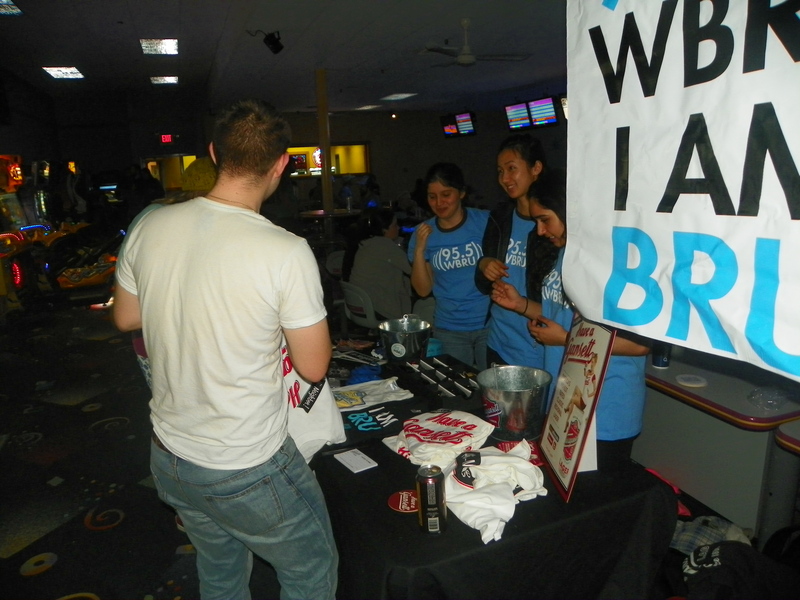 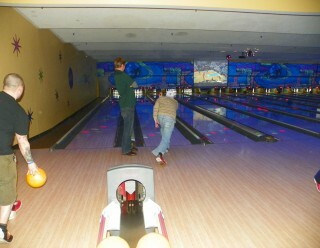 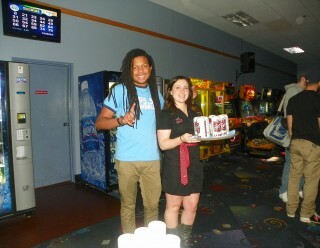 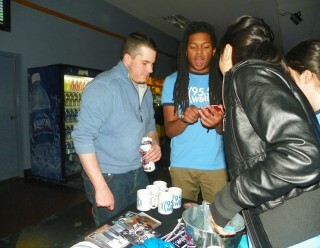 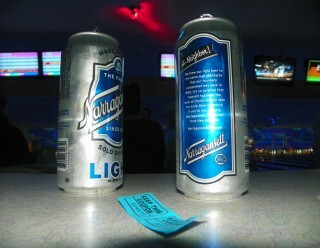 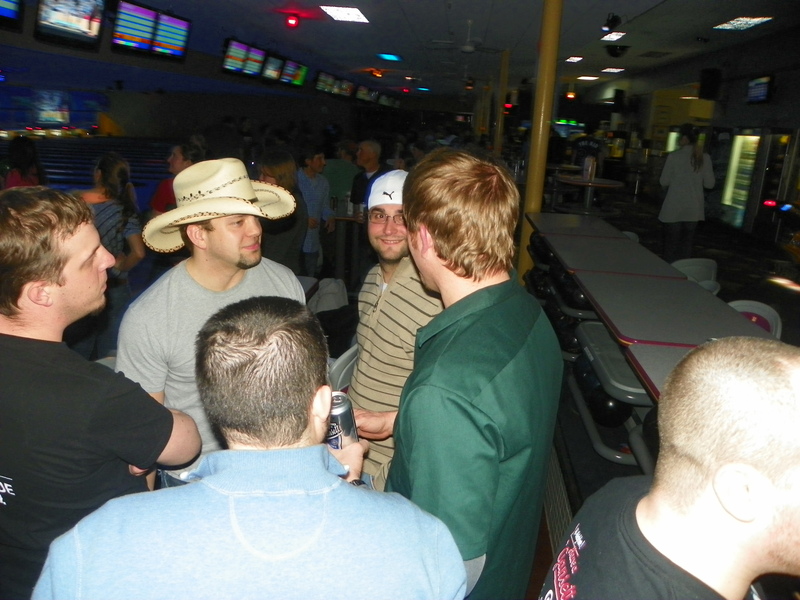 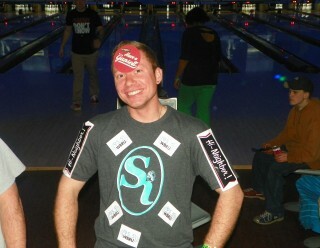 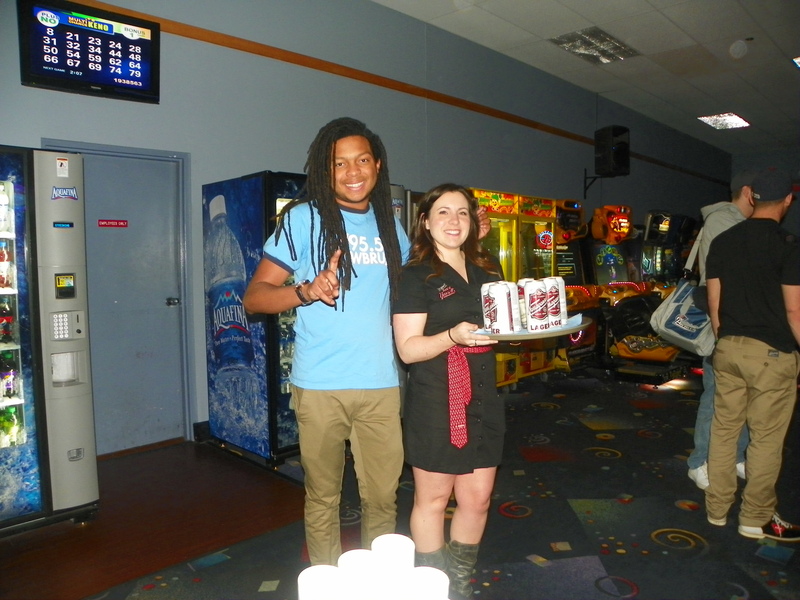 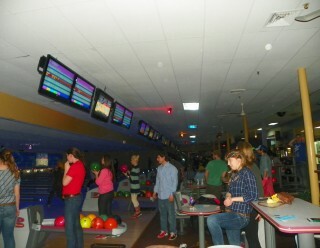 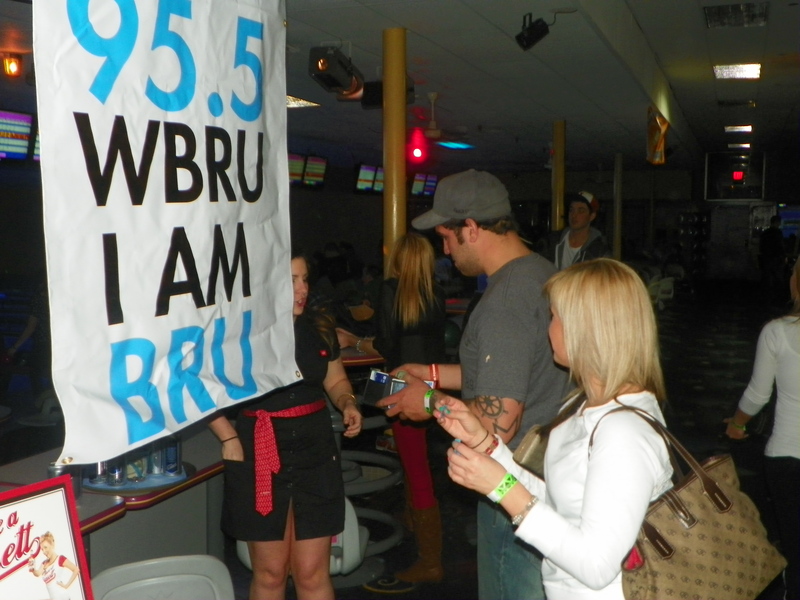 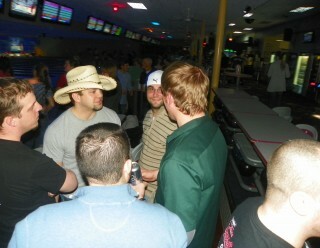 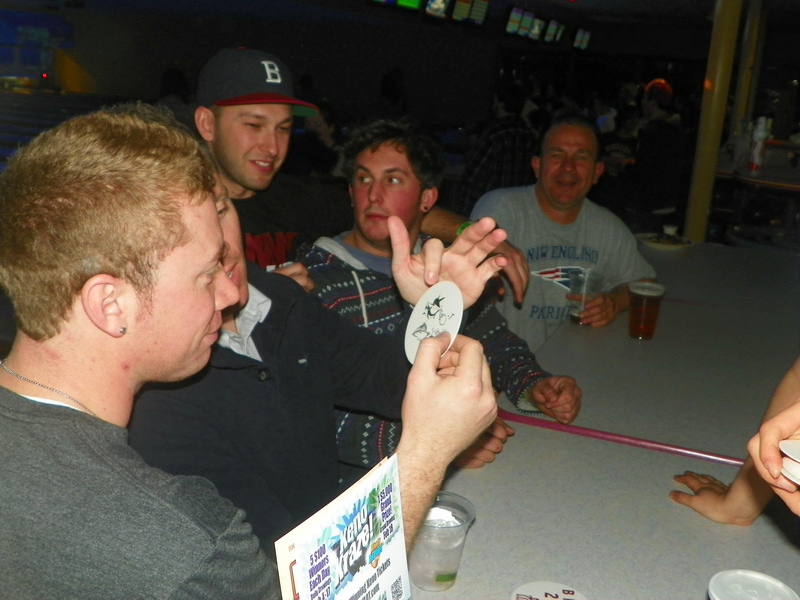 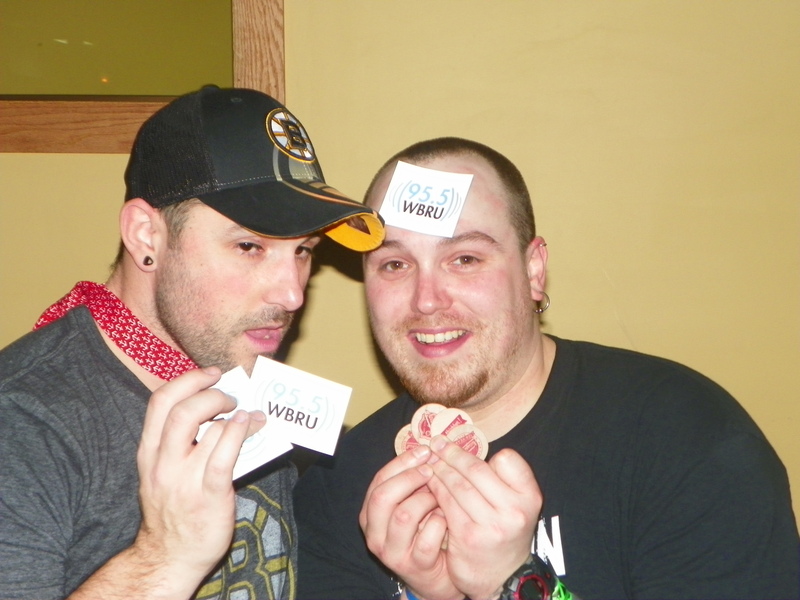 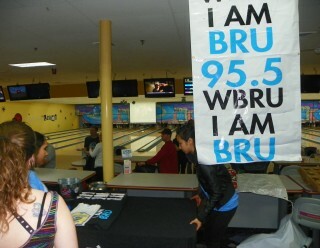 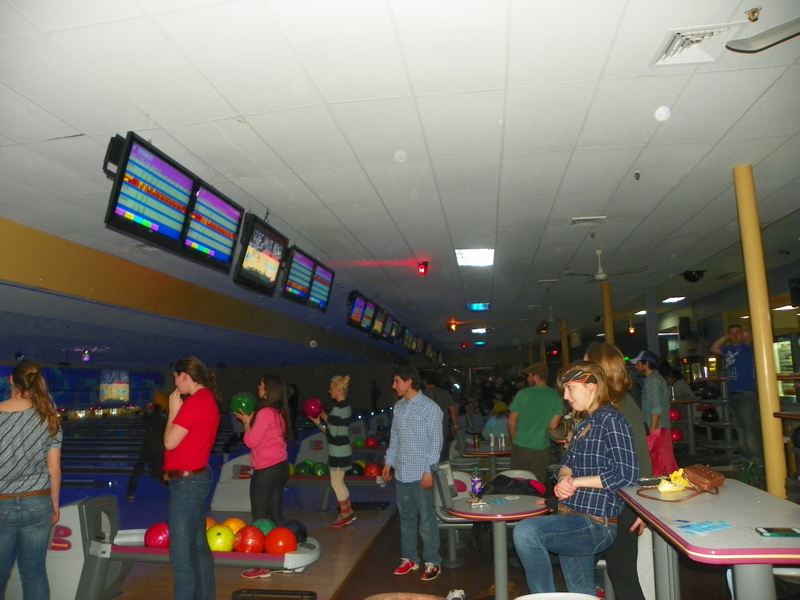 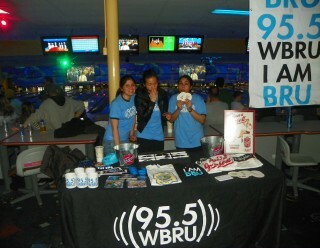 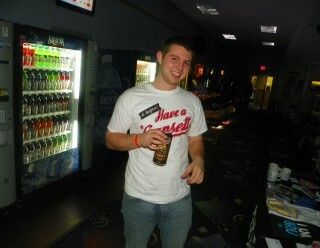 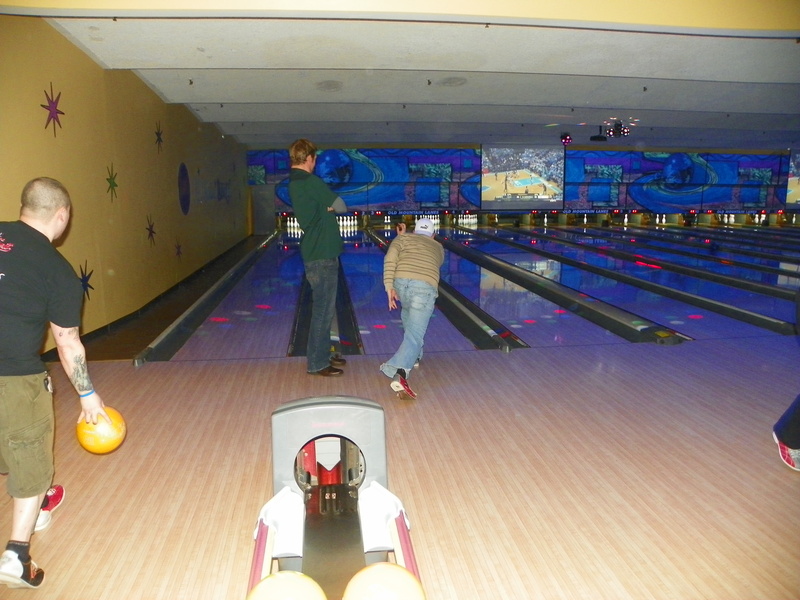 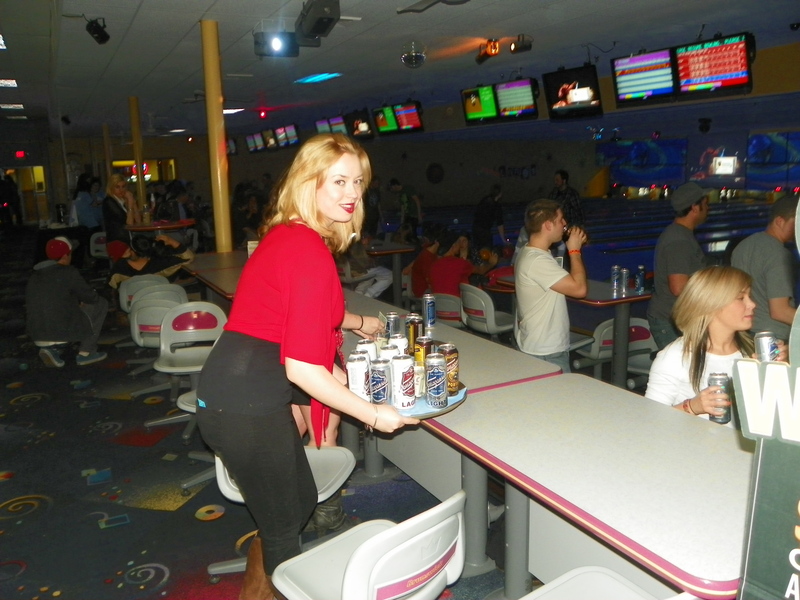 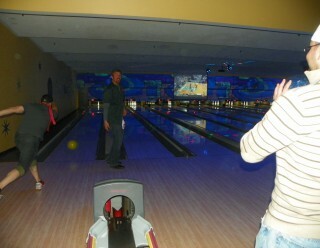 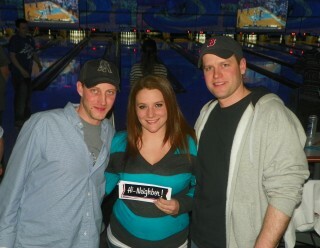 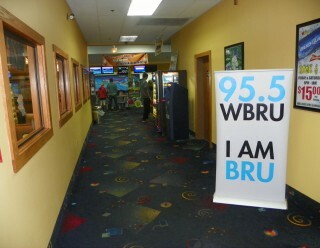 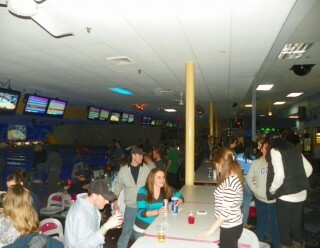 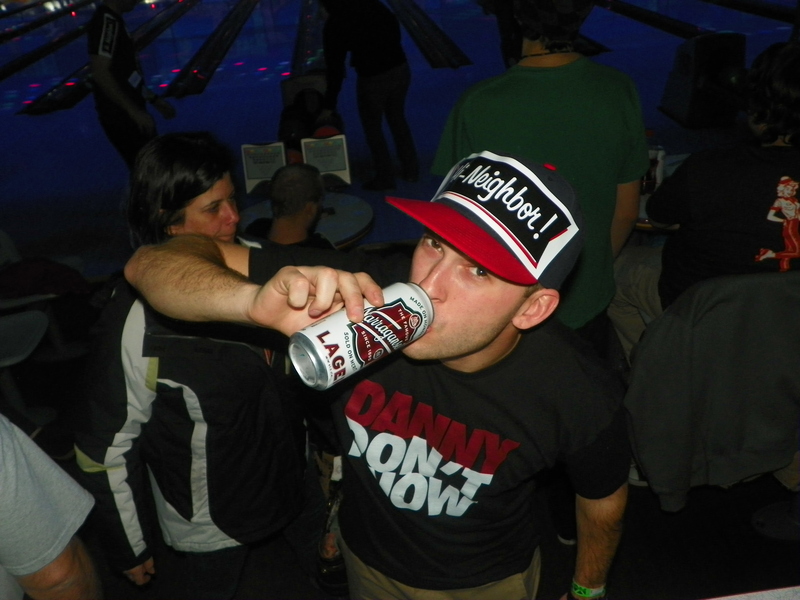 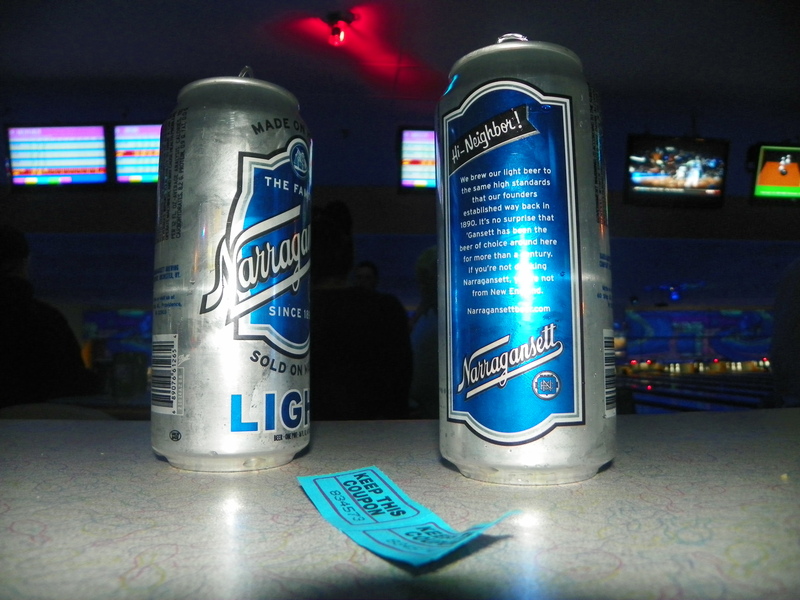 Can’t wait for the next one at Lang’s Bowlarama with 95.5 WBRU on March 30th.